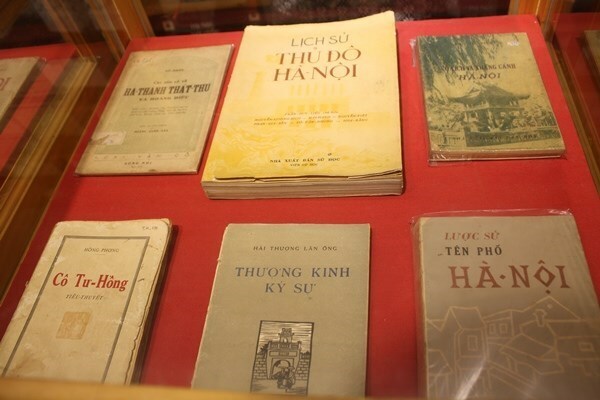 Sixty books about Hanoi by collector Nguyen The Bach are being displayed in the city on the occasion of the capital liberation day (October 10). The exhibition, supported by the Nha Nam Publishing and Communications Company, provides a chance for Hanoi and book lovers to meet and share their sentiments towards the capital city. Readers to the event can have an opportunity to enjoy precious books, many of which were published in the early 20th century, including the “Hung khi Thang Long” (Thang Long Spirit) by Chu Thien, “Lich su Thu do Ha Noi” (the history of Hanoi capital) by Tran Huy Lieu, and “Tren via he Ha Noi” (On the Hanoi pavements) by Trieu Dau. Nguyen The Bach, who also owns a book coffee shop, said that he will try to add more books to his collection to introduce to the public in a hope that more people will get better understanding of the city. During the exhibition, which will run until October 22, Nha Nam also offers readers a full collection of books about Hanoi it has published, including those on the capital’s architectural works and history.